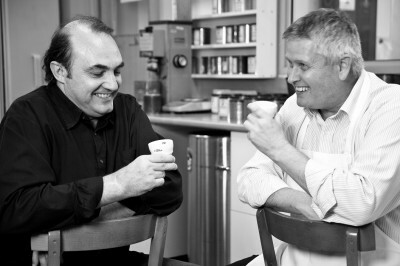 Espresso di Manfredi combines the passions of two taste masters; celebrated chef and godfather of Italian cuisine Stefano Manfredi and leading coffee roaster Wayne Archer from D.E Coffee and Tea. 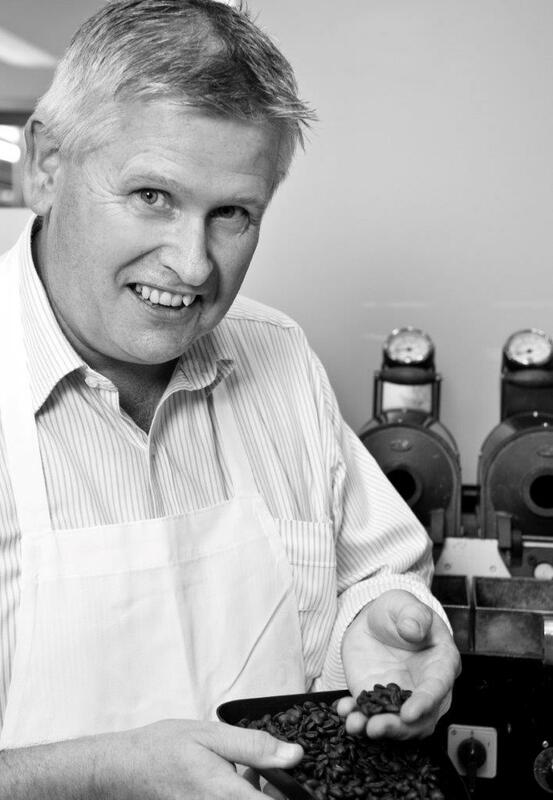 Wayne Archer is synonymous with innovation, expertise and mastery within the craft of coffee roasting and blending. With over 35 years of experience in the coffee industry, Wayne is a prominent figure on the coffee scene, and is the Master Roaster for D.E Master Blenders 1753, and has collaborated with Stefano Manfredi to develop Espresso di Manfredi. As Master Blender, Wayne tastes up to 40 different coffee blends daily and manages the complexity of the blending process and arriving at the ideal flavour. His role also includes taking into consideration variables such as cup appearance, seasonal changes and crop variations. Wayne is master roaster for D.E Master Blenders’ espresso brands, including Espresso di Manfredi, Piazza D’Oro, Harris & Co and Two Seasons. Working with Stefano Manfredi on creating Espresso di Manfredi, Archer has been instrumental in the development of the original Classico blend which was launched in 2000, and the two new varieties Audacia (bold) and Chiaro (delicate) to complete the family of coffee. Archer began his career as a trainee tea taster at Harris and Co. in 1976 after being inspired by his parent’s fondness for tea. Immersing himself in tea culture, Wayne’s natural instinct for tasting and strong palate quickly saw him progress to become the Harris and Co. Taster and Blender. This role eventually led Wayne to follow his new passion into coffee blending and roasting. Remaining with Harris & Co, Archer spent countless hours working with mentor George Kepper to create perfectly balanced coffee varieties. The company was later taken over by Douwe Egberts Coffee Systems, (now D.E Master Blenders) one of the world’s largest coffee roasting businesses in 1991. Now Master Roaster at D.E Master Blenders, Wayne is responsible for brand development and maintenance across their entire coffee portfolio. Archer sources the most premium beans from across the globe and profiles coffee blends to ensure the upmost quality is maintained. Reiterating the importance of sourcing the right beans, Archer says, “Coffee is a natural product and therefore the product is extremely variable. Every season is different and that means every crop is different”. The Australian palate for premium espresso has constantly evolved throughout Wayne’s career, and the level of coffee consumption dramatically increased, ensuring that his role in roasting and blending various beans is never static. When roasting, Wayne takes into account Australian coffee drinkers’ penchant for milk-based coffee drinks, as well as the varying taste preferences between coffee consumers in each Australian state. Archer continues to be a leader in the industry, where his passion for sourcing and blending the finest espresso elevates and enhances the consumer’s experience of coffee around Australia and the world.